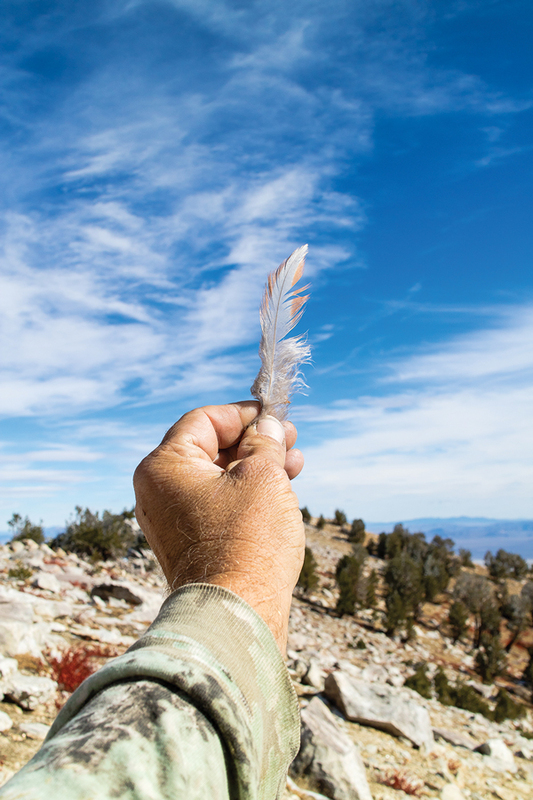 Nevada’s Ruby Mountains are a brutal and forbidding setting for a bird hunt—especially one that amounts to searching for a needle in a haystack. 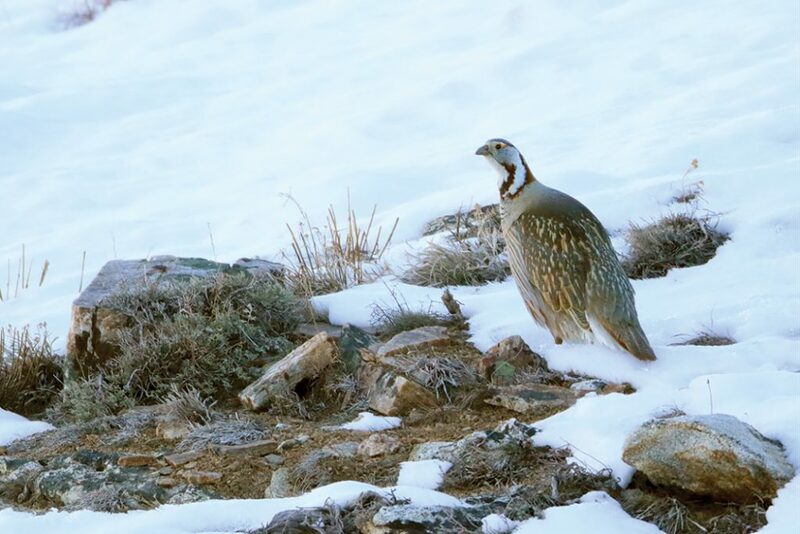 Thirty years ago I learned of the Himalayan snowcock, a large member of the pheasant family that inhabits the highest, most forbidding terrain of Nevada’s Ruby Mountains. To a teen, hunting them seemed like a distant dream. Then one year between college semesters I spent six weeks in Elko, Nevada. A coworker pointed out a distant peak where he would see snowcock while bowhunting deer. Desire burned, but I was due home prior to the season opener. That flame never died. Buffeting winds, rain and cold temperatures challenged the author but never broke him. And his perseverance in a wild and lonely place paid off with the ultimate prize. This past fall my dream grew wings. 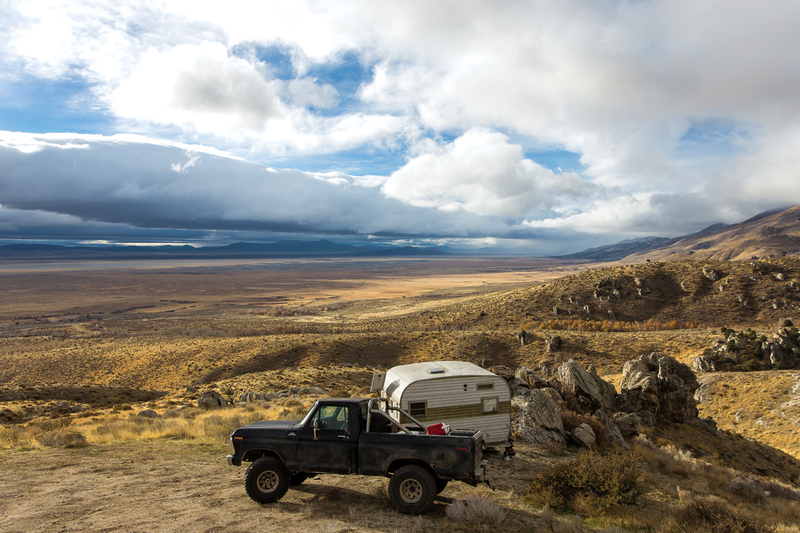 A lifetime of hard outdoor abuse told me to “never trust tomorrow—do it soon.” I had a camper and enough gear. Two time slots developed in my schedule, but life’s unpredictability got in the way of both. Then snow arrived in early October. Above my Wyoming home the same storm dumped several feet of snow along the Continental Divide. I figured I was done. Snowcock live high, roosting below peaks and igneous walls above 11,000 feet. Blue grouse also winter up there. My goal was to hunt both. Heavy snow was bad news; however, the West turned dry again. 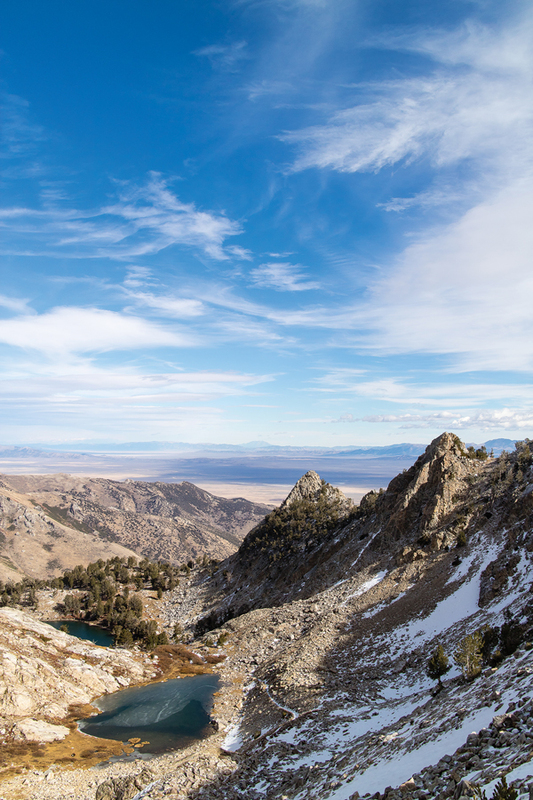 In late October I called the US Forest Service in Elko and received cause to rejoice: The snow was mostly gone. But the news of Lamoille Canyon closing due to mudslide concerns following a wildfire came as a heavy blow. The reason is that snowcock primarily occupy the Ruby Mountains’ midsection, particularly the west slope. The locations that my former coworker and several other sources had indicated are accessed from Lamoille Canyon. However, lifelong friend Carl Asbell, who spent years hunting these elusive birds, did circle a place on my map that could be accessed from the east side. It was fringe territory, but his father had harvested a pair of snowcock there years ago. That was enough, and within days I was westbound, intending to spend eight or nine days in the Rubys before wandering elsewhere in search of easier game like chukars and Hungarian partridge. As a bonus, blue grouse hunting in the Rubys is superb, and I planned to enjoy this in the high country as well. My decision came with penalties—logistics being the first. 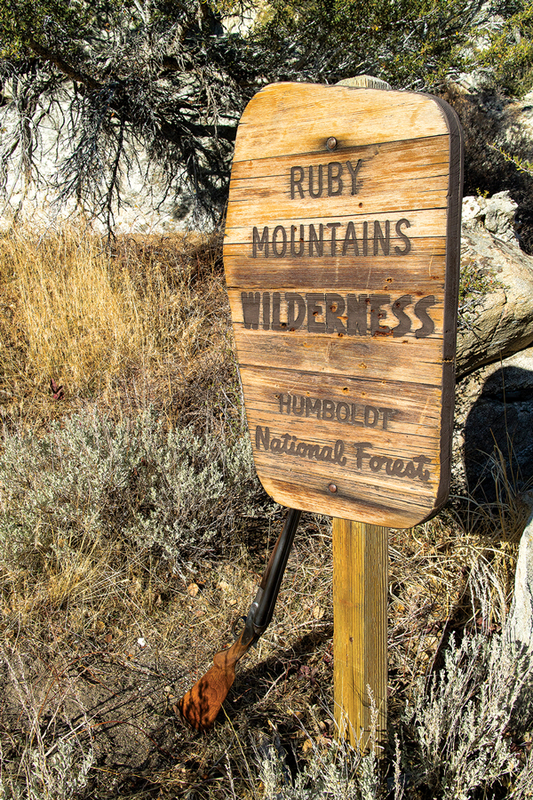 With the Lamoille Canyon access, food and fuel are available in Spring Creek, between Elko and the canyon, and dozens of hotels exist in Elko. If Lamoille had been open, life would have been easier. Instead I camped at the Overland Lake trailhead, 60 miles south of Wells and at approximately 6,200 feet in elevation. Gas was a concern. My 1979 Ford truck had a 38-gallon tank, but driving 120 miles round trip to get gas was like a snake eating its tail. So I generally hiked straight from the camper instead of driving anywhere. Another problem arose the first night: wind! I had expected rough going along the peaks in November, but 50- to 70-mph gusts at camp for the first five nights? I positioned the truck to help block the wind, but the little 13-foot trailer still shook like a mechanical bull. Sleep was not easy. Day one of my hunt dawned ominous and stormy. Oh well, I thought, perhaps the beautiful chukar habitat around camp will reward earnest efforts. Four hours of searching with Rusty, my veteran Border collie, revealed no sign. Then the cloud ceiling started lifting, and I figured to chase it to the peaks. Wrong. When we rounded the bend into the valley leading up to Overland Lake, we caught up to the clouds at only 8,000 feet. Add to that 80- to 100-mph wind gusts driving a freezing rain. I soon was soaked and barely able to stand. I was surrounded by fog in unfamiliar country, searching for birds I couldn’t see or hear, and ice was forming on every surface. Everyone has a limit, and I had reached mine. Rusty and I retreated to resume searching for chukars that weren’t there. At one time Nevada was mostly devoid of gamebirds, and the search for suitable species to fill various niches was initiated. With an environment similar to the Himalayas, the state’s Ruby Mountains seemed appropriate for the snowcock. In 1961 six birds were purchased from the Mir of Hunza, in Pakistan. Unfortunately, only one survived the trip—scarcely a viable breeding population. Fortunately, additional importations resulted in enough snowcock to release 19 into the Rubys in 1963 and to begin a captive breeding program. The birds resulting from propagation efforts were placed in suitable habitat throughout the 1970s until the species had taken permanent hold in the early ’80s. Since then the population for the entire range has varied from 500 to more than 2,000. Population surveys are difficult, due to the birds’ coloration and habitat. Both sexes are essentially identical, with females being smaller. A small female may be as light as 4.4 pounds, while the largest males are nearly seven pounds. In the morning snowcock fly downslope from the roost, and then feed back up by late morning. The routine is repeated in mid-afternoon. In dry conditions seeking water is included in the regimen. In the early fall birds are still vocal, allowing hunters to locate them from afar and plan stalks. By winter they often remain silent. I will admit that spending hours glassing isn’t my thing. I am more bird hunter than elk hunter. Interestingly, both Carl Asbell and his father harvested their snowcock not by spot-and-stalk methods but by ambushing birds resting below rock walls between morning and afternoon feeding activities. This technique of methodically popping over steep saddles can pay off for hunters at midday. Of course, successful snowcock hunters represent a mighty small sample group. The year Carl bagged his double, hunters took only six birds. The best annual harvest on record is 23. It’s a tough game. As I cautiously hiked the sunny south slope, my eye caught something out of place: a lone feather somehow defying turbulent air currents. I picked it up and realized I was holding a snowcock feather. Hope! I began a game of angles using terrain to obscure my approach to vantage points as a bobcat would. Soon I noticed a sun-thawed patch of moist ground with large bird tracks, and then a recent track in the softening snow. When I noticed fresh droppings, my hopes soared. Hope! Finding sign like this feather gave the author the confidence to push on. 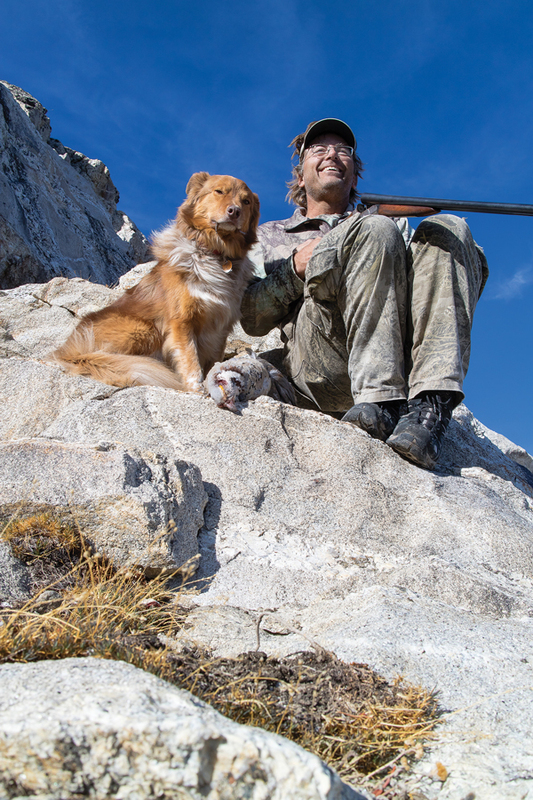 Ultimately, he and his dog, Rusty, were rewarded with a trophy bird and a memorable experience. It was midday and, with the winds doing their best to peel the earth apart, it only made sense that the birds would be tucked into the lee of ledges. A series of calculated ambushes seemed prudent. As I advanced on the third ambush point, my right eye finally stopped watering. An omen? I thought. This is it! With Rusty at heel, I paused to catch my breath before dashing up and planting my feet at the edge, more than a little concerned about getting blown over but nevertheless ready to shoot. I was looking left when, from my right, came the loudest bird shrieks I had ever heard. My Ithaca NID 16-gauge came up swiftly as I rotated toward a form that had launched at startling speed 20 yards to my right. A 11⁄8-ounce handload of buffered No. 5 lead caught up to the bird at 40 yards, and feathers erupted. I don’t think scoring the winning run in the World Series could have felt better. At that moment two things happened: The crumpled bird plummeted out of sight, and a second bird flushed. The second shot was one I often miss—at a bird diving over a cliff—and the thought of a third snowcock offering a perfect opportunity kept me from firing. But bird number three didn’t exist, and I stood waiting with a shell in the chamber. 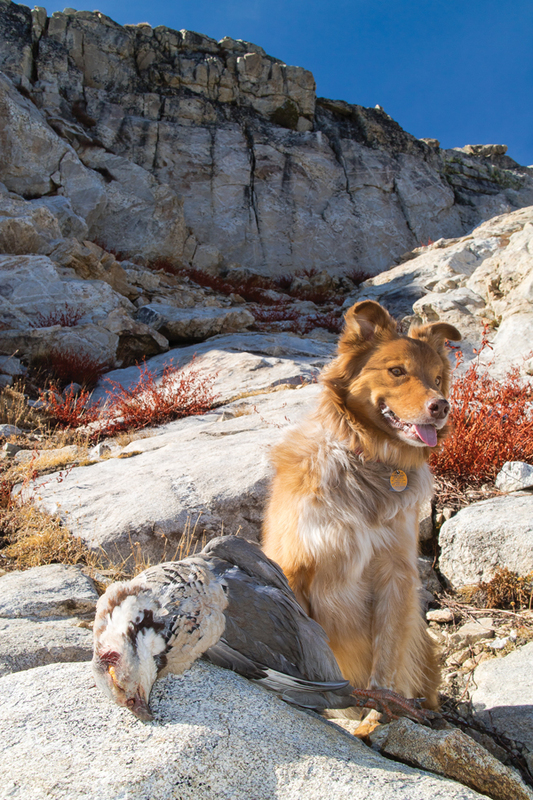 Rusty had dashed out of sight when my bird dropped, so I scrambled over and found him six feet from a cliff edge . . . with the snowcock in his mouth. I can’t recall whether I hollered, “Good boy!” or, “Bring it!” but he likely couldn’t hear me with the wind howling as it was. So he set down the bird and looked up with a feathery grin. At which point the bird rolled . . . and dropped another 150 feet. Noooo! Nevada’s snowcock season runs from September through November. A nonresident combination permit costs $23 for the first day and $8 per day afterward, and a free snowcock permit is required. The daily bag limit is two birds, as is the possession limit. A post-season harvest survey is part of the deal. Hunting snowcock is just as much about preparation as endurance. Long hard days require loads of carbs and protein. Stay on the protein all day and at dinner, or be prepared to ache. High-energy snacks and proper hydration are a must. Gear-wise, it’s critical to choose the right boots. In snowcock country, a slip can mean death. I have been happy with Salomon winter boots, which are light, supportive and actually grip snow and even to some extent ice. While hiking and climbing, sweat is a problem; when sitting and glassing, cold is. Layers to the rescue. On cold days a synthetic base layer and polar-fleece vest do well. Add a polar-fleece jacket and ultralight rain shell to block wind when needed. A stocking cap or ear band and non-bulky gloves are essential. Keep in mind, too, that snowcock see everything, so camouflage is a must. Mid-tone gear is best, and many sage patterns blend well. 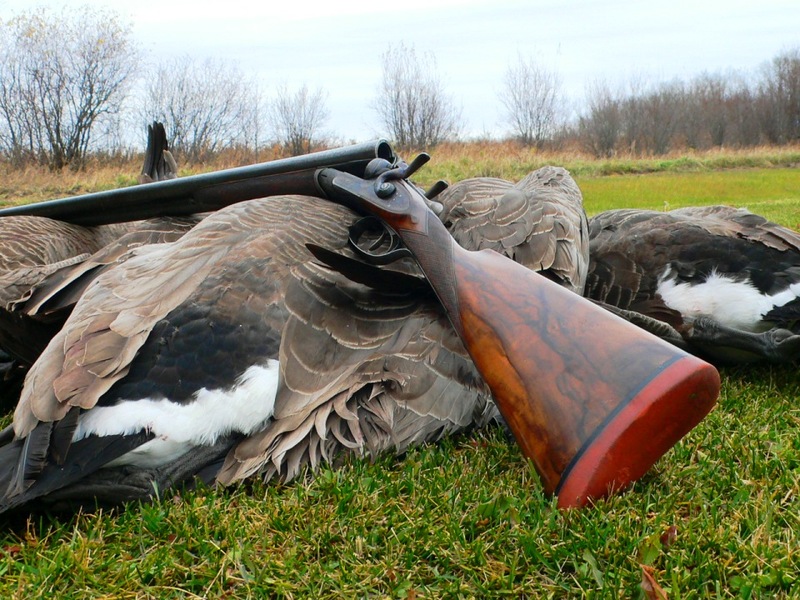 As for a gun, a lightweight, tightly choked 12- or 16-gauge is ideal. Use the tightest-patterning load of No. 5 or 4 lead available. Ultra-dense tungsten is worth considering. The birds are big, and shots are typically long. Choose well, as a second chance may never come . . . .
Twenty minutes of climbing around the peak and down resulted in the retrieve of my dreams. Snowcock shed feathers like doves, and my bird had sustained a lot of impacts. What Rusty brought back wasn’t suitable for taxidermy. Right then, however, I didn’t care about taxidermy. We had just attained the pinnacle of bird hunting! The real trophy was the experience. The snowcock I shot was a mature specimen, weighing about six pounds. The main body carried the patterns and coloration of darker granite, while the head and cape were a lighter clay with bold white and blackish stripes on the throat. Flight feathers on the wings had a prominent white band that appeared smudged with charcoal at the outer edges. The area under the tail was white, and the feathers along the sides were bordered with a “rusty” hue. The only other splash of color was the yellow eye comb. Both legs donned formidable spurs. It was a priceless masterpiece. We searched for another six days and never found another snowcock. One mountain was covered with sign, but it was at least a month old. A consolation was that the blue grouse hunting each evening was amazing. 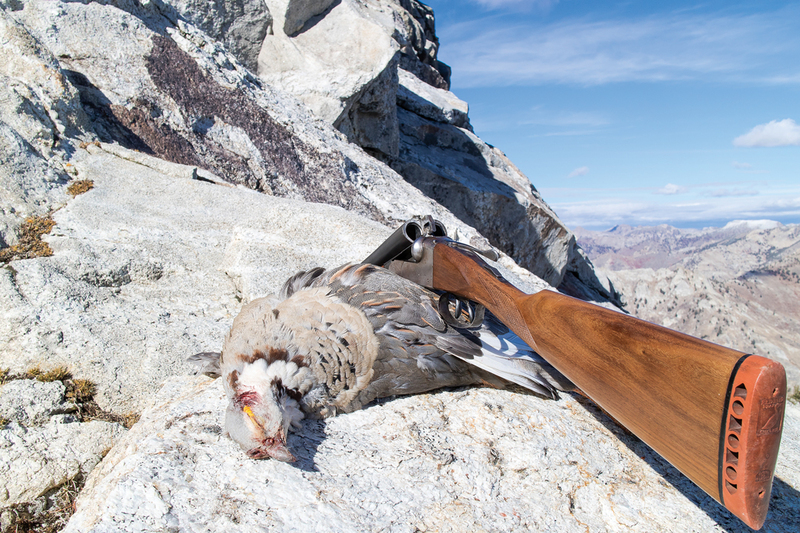 Hunting Himalayan snowcock in Nevada is a wild ride that I intend to take again. Hopefully I will be able to base my efforts out of Lamoille, where hikes begin near 9,000 feet. Climbing from the valley each morning, with 15-mile days being the norm, took an astronomical toll in fatigue. At times I was ascending 1,000 feet in 25- to 50-foot increments. It’s pretty bad when I need to stop that often, as I seldom get worn down when hunting chukars. Snowcock hunting is that intense. One day I drove 11 miles north of camp and hiked over the top to where I could see where I would have camped and the country west of there. It was beautiful habitat, with more water, grass, forbs and small sedges. I snapped a few photos and hunted blue grouse on the way down. 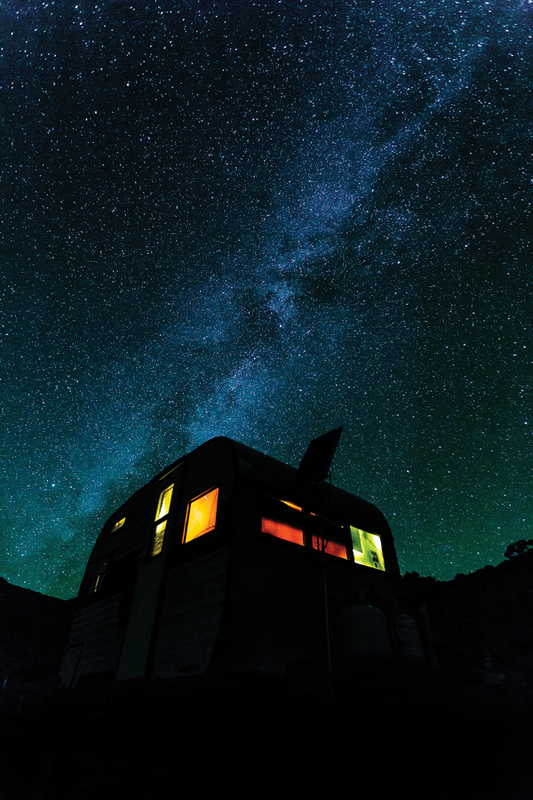 Next time . . . .
Garhart Stephenson is a freelance writer/photographer who lives in west-central Wyoming. He has spent his life wandering wild and lonely places with rod and gun. He is partial to old American doubles, his faithful dog and any place that hosts fin or fowl. His work has been featured in a variety of publications.